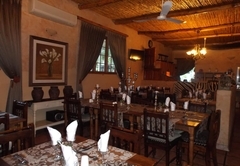 Old Mill Lodge & Restaurant is a 4 star graded B&B with self catering option, offering Oudtshoorn accommodation for tourists and visitors of the Karoo. 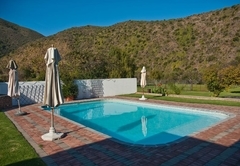 Old Mill Lodge is a working ostrich farm and Guest Lodge situated at the foothills of the Swartberg Mountains,14 km on your way from Oudtshoorn to the world famous Cango Caves. 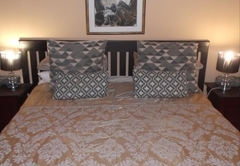 Our family 4-star unit has two separate rooms, each with their own entrance. The unit has one bathroom with bath and shower. 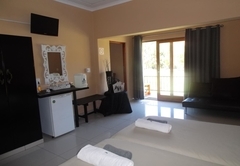 Unit includes TV in both rooms, fan, aircon, coffee and tea facilities, mini bar. 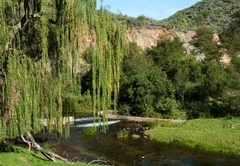 Only a few meters away from our a la carte restaurant and our tamed game. 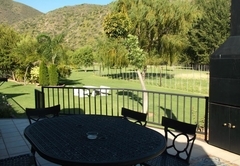 The luxury 4-star unit for two has a balcony with a spectacular view! 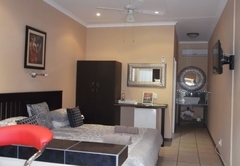 Room includes a spacious bathroom with bath and shower, aircon, DSTV, mini bar and coffee and tea facilities. Only a few metres away from our a la carte restaurant and tamed game! 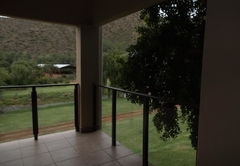 The normal 4-star rooms have a veranda with a view of our spectacular farm and game. 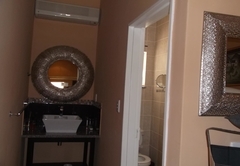 Room includes bathroom with shower, air con , coffee and tea facilities and a mini bar. 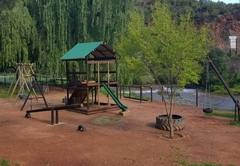 Enjoy lunch or dinner in our fine dining a la carte restaurant, with a view of our game and the Grobelaars River that crosses our farm. 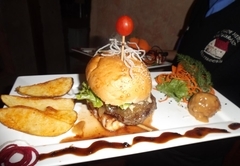 The restaurant is open everyday with specials! It is a historic building (approximately 150 years old) with the old watermill still inside the restaurant. The farm obtained its name from the old mill and all the wheat from the valley was milled on the farm. At that stage there were hundreds of mills all over the country. Hosts up to 300 people with a spacious dance floor, undercover BBQ facilities, swimming pool area & garden gazebo for your perfect ceremony. 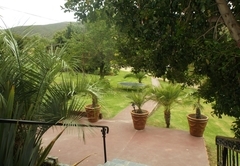 The venue has a spectacular view of our farm and the foothills of the Swartberg Mountains. We have all the equipment you need to decorate your venue. 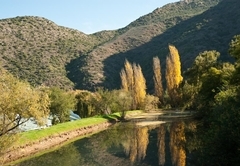 The nearby Schoemanshoek church is ideal for the church ceremony. For more information on the church please contact us. Also the perfect location for conferences and functions. 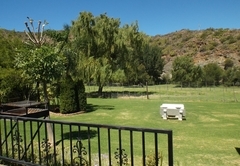 The venue has a spectacular view of our farm and the foothills of the Swartberg Mountains. We supply internet service, screens, telephone & fax service, sound systems, a slide and photocopying service and full secretarial and administrative support for your conference. 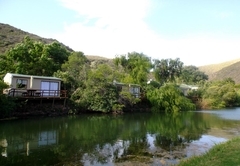 We are only 3km away from Cango Ostrich Farm, 8km from the world famous Cango Caves, 9km from the Rust and Vrede Waterfall, 18km from the Swartberg Mountains, 100km from Prince Albert, 90 km from “The Hell”, 15km from Oudtshoorn Museum, 10km from Cango Wildlife Ranch and 3km from horse riding. 4 star Wooden Cabin with deck and waterfront view. Excellent view of mountains and our spectacular farm. 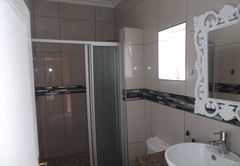 Bathroom with a bathtub, air-con, coffee and tea facilities, fridge, digital safe, hairdryer, flat screen TV with dish channels. 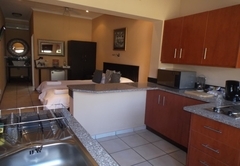 Our family 4-star unit has two separate rooms, each with their own en-suite. Granite cupboard top bathroom with shower. 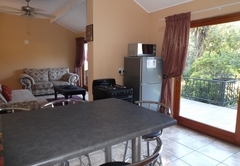 Air-con, digital safe, hair dryer, coffee and tea facilities, fridge, TV with dish channels, wi-fi, ceiling fan and desk. Terrace with view. 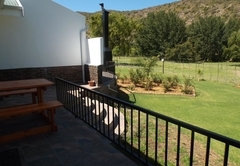 The large 4-star double room for two has a fridge, view of our spectacular farm. 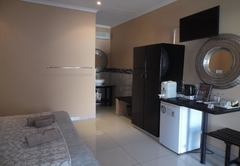 Room has bathroom with shower, air-con, coffee and tea facilities, fridge, digital safe, hair dryer and TV with dish channels, ceiling fan, desk. 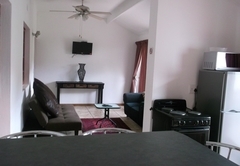 Unit with T.V and couch in separate room. 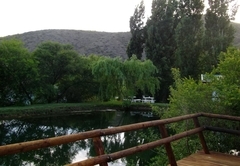 River & Mountain view room with view of our spectacular farm. 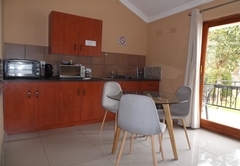 Room has bathroom with shower, air-con, coffee and tea facilities, fridge, digital safe, hair dryer and TV with dish channels, ceiling fan, desk. Sleeper couch in separate room for 2 small children. 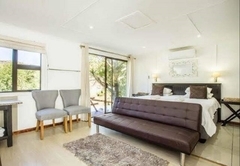 Our family 4-star unit has two separate rooms, each with their own en-suite bathroom. Granite cupboard top bathroom with shower, air-con, digital safe, hair dryer, coffee and tea facilities, fridge, TV with dish channels, wi-fi, ceiling fan and desk. Terrace with view. This standard queen room is suited for two guests. 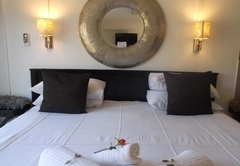 Facilities in the room include comfortable beds, a bathroom, a TV, air-conditioning, a fridge and tea- and coffee-making facilities. 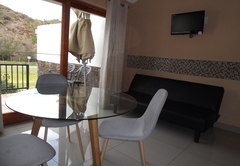 Large family self catering unit with two rooms and bathroom with bath and shower. This unit is suited for a family of 4 guests. 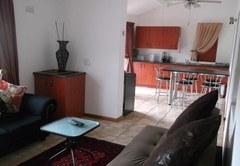 Facilities in the unit include air-conditioner, a TV and tea- and coffee-making facilities. Riverview at your doorstep! 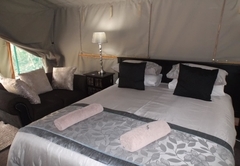 The Luxury Riverview Tent is suited for 2 guests and comes equipped with comfortable quen bed, a bathroom fitted with a shower, air-conditioning, a TV and tea and coffee making facilities. 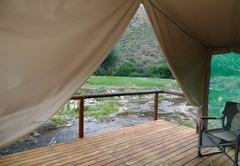 Luxury river font Tent with mountain and river view, unit with shower. 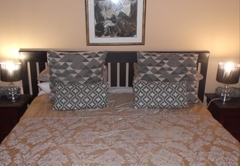 This unit is suited for 2 guests and comes equipped with comfortable beds, and a bathroom fitted with a shower. The tent also offers river views. There is a small sleeper couch for one child. 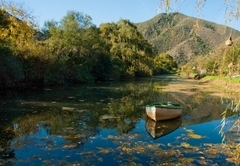 Luxury river font tent with mountain and river view, unit with bath. 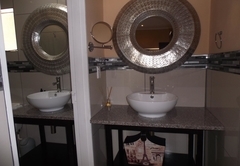 This unit is suited for 2 guests and comes equipped with comfortable beds, and a bathroom fitted with a BATH. The tent also offers river views. There is a small sleeper couch for one child. 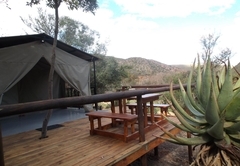 Luxury Safari Tent with mountain view. 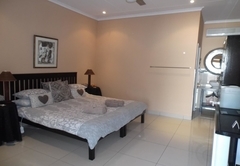 Facilities in this unit include Air-con, flat screen TV, Bathroom with shower, electrical blankets, Tea coffee facilities. Response timeOld Mill Lodge & Restaurant typically responds to requests in 5-10 minutes.